Dara L. Spiro - Dughi, Hewit & Domalewski, P.C. Dara L. Spiro joined Dughi, Hewit & Domalewski in 2002 and was named a partner with DH&D in January 2010. Ms. Spiro focuses her practice on complex civil litigation, with an emphasis on the defense of mass tort pharmaceutical product liability claims. She has extensive experience defending pharmaceutical personal injury claims from initial case work-up through all stages of discovery, motion practice and trial. She has been a member of the trial team on behalf of Hoffmann-La Roche Inc. for multiple cases tried in the Accutane Multidistrict litigation before Judge Carol Higbee in Atlantic County, New Jersey. Ms. Spiro also has substantial experience in complex insurance coverage litigation, medical malpractice defense, and general commercial litigation. Prior to joining the firm, Ms. Spiro served as a judicial law clerk to the Honorable Patricia Del Bueno Cleary, Judge of the Superior Court of New Jersey, Monmouth County. She is a graduate of the University of Arizona College of Law where she served as a Justice on the ASUA Supreme Court and as a Guardian ad Litem representing the interests of abused and neglected children in the juvenile court system. 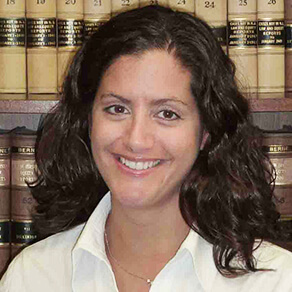 Ms. Spiro is a member of the New Jersey State Bar Association and the American Bar Association.